This trail network offers two options for an ascent, either moderate or difficult, and two phenomenal panoramas. An ideal spot to watch the sunrise or sunset with a picnic snack, prepare for a loop that will take a 1.5 to 2.5 hour journey around this extinct volcano. Beginning at Eain Lamont Park, head clockwise (West) around the base of the park until reaching East Boundary Rd. Ascent the brand-new seemingly endless double-wide set of switchbacks to the western lookout before traversing the ridge-line to an even more impressive view of the entire city of Kelowna, reaching from the bridge all the way to Black Mountain. Very few trees hamper the view at the top, giving hikers the best view of the city while right in the middle of it. Visit the City on the Edge of Forever lookout in Rose Valley on an 8.5 km round-trip 2.5 - 3.5 hour hike. This single-wide trail is a loop that begins at the end of Rosewood Dr in West Kelowna. After walking along a virtually flat path to the lake, immediately cut left up the hill to meet up with the main trail, following it to the major &apos;Sweet St&apos; fork. Venture 2 km uphill to a heroic lookout on the edge of a cliff overlooking Rose Valley Lake, the normal Rose Valley Summit, the bridge, and downtown Kelowna. A view only made better while enjoying local treats or wine. 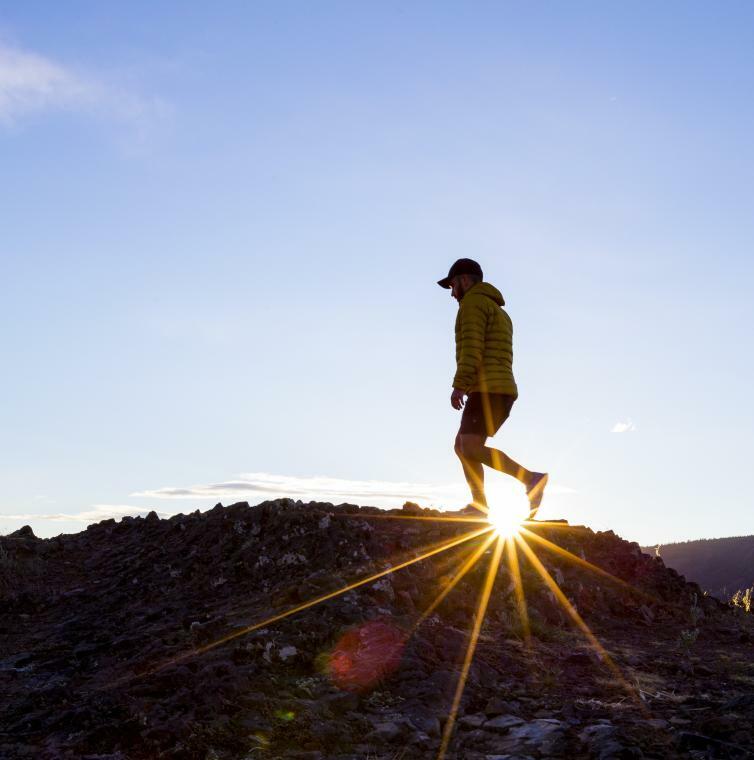 This normally 8 km round-trip, 1.5 to 2.5 hour, hike will take adventurers to one of the most surreal viewpoints in all of Kelowna. Nearing the top, enjoy a series of xeriscaped stairs built into the mountain to reach the summit. Unpack lunch and have a seat in your new throne: a series of stone man-made chairs around a fire pit. Begin the hike from the recently created Lebanon Creek trailhead on Lakeshore Drive and follow it until it intersects with the other main trail near the climbing crags, and keep right. Look for a well-used and short but very steep near-scramble up the cliff. Keep left and follow the stone stairs and cairns to the top. *Note: Christie Falls is closed until further notice. Set your heart to adventure. Disconnected from all cell service, trek deep into the heart of West Kelowna for a short 2.2 km, 1 hour, hike. At the end: a massive waterfall that catapults off the edge of a cliff. While staying dry, follow the trail behind it into an alcove and unfurl the picnic blanket! The descent from the main trail to the bottom of the falls is quite steep; bring proper footwear and make good use of the rope railing. While accessing this trail can be done carefully by car, a vehicle with better ground clearance is suggested. Drive deep into West Kelowna along Bear Lake Main (1.5 km past Bear Creek Park), 11.8 km since the last turn off, turn right onto Esperon FSR, then after another 10.7 km, turn right onto Christie, then after another 3.5 km, turn left at the small Christie Falls sign and follow it to the end. 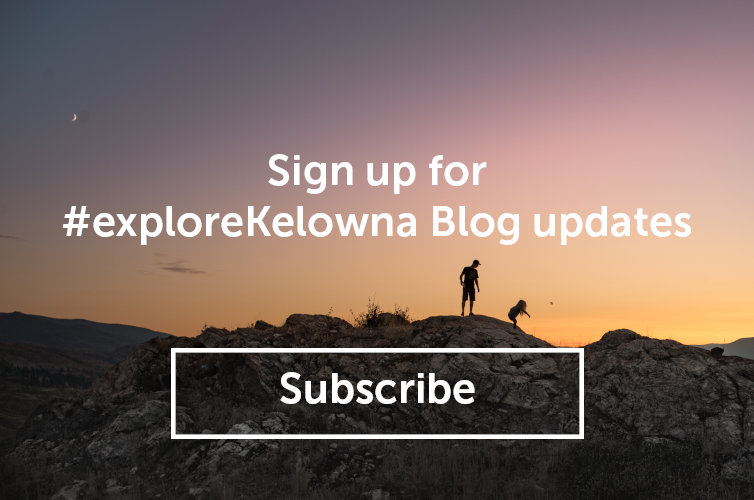 For more hiking trails in Kelowna check out Tourism Kelowna&apos;s Hiking page.